Cooking with herbs and spices is a healthy way to add flavor and fragrance to any home-cooked meal. Because growing herbs and spices requires little space, many cooks and home gardeners prefer to raise their plants indoors where they are easy to reach and use frequently. A sunny windowsill and a little care is all these plants need to thrive. Herbs are any herbaceous plants with non-woody stems that produce fragrant, flavorful leaves. Some popular culinary herbs that are compact and easy to grow indoors are parsley, thyme, basil, oregano, rosemary, chives, cilantro, mint or sage. Spices, according to the American Spice Trade Association, are the dried berries, seeds, blossoms, fruits or leaves of a plant. Herbs and spices add flavor without adding fat, salt or calories. Though minimal, some add vitamins and nutrients to prepared foods. Dried spices sold in stores can spend unknown amounts of time in storage, or be stored improperly, resulting in less flavor. Fresh herbs from the supermarket are more expensive than herb seeds, and usually don’t last long enough to get your money’s worth. Growing herbs and spices indoors keeps a constant, inexpensive fresh supply on hand. Many popular culinary herbs and spices don’t require a great deal of space. As most have shallow roots, 4- to 6-inch deep pots are all that is necessary. They can easily be grown in pots as small as 4 inches in diameter, or an entire garden of herbs can flourish in a single window box. Strawberry pots also make good options, as each plant has its own space to grow. Hanging basket planters or wall planters can free up surface space on a windowsill or counter. 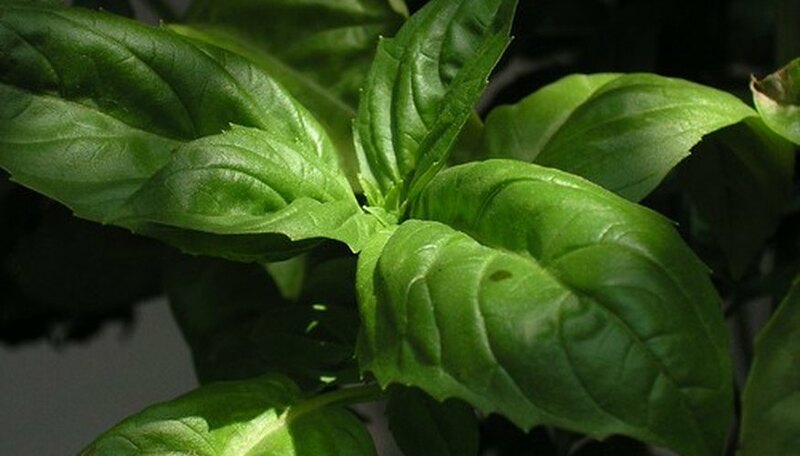 One of the most important considerations in growing herbs and spices indoors is growing medium. A lightweight medium is necessary so that soil in pots does not become compact and allows for air circulation and good drainage. This also makes it easier to move a larger planter full of different herbs around when necessary. The University of Missouri Extension recommends mixing equal parts of sand, peat moss, perlite and potting soil. Place containers where plants will get a minimum of 6 hours each day of direct sunlight. Penn State College of Agricultural Sciences recommends using fluorescent light if your windows don't provide enough sunlight. Water your herbs and spices lightly, but regularly. Soil should always be damp--never dry or muddy. Feed herbs and spices grown indoors more frequently than outdoor plants. Harvesting plants frequently promotes growth and bushiness.